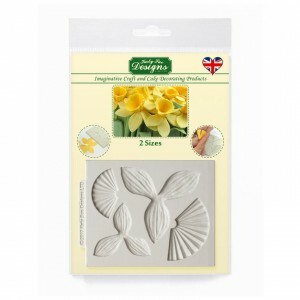 Stunning mould from Katy Sue Designs will make two different sized daffodil heads. 65x65x25mm 45x45x20mm So quick and easy to use!! Use with a stiff fondant, modeling paste, flower paste, marzipan, chocolate, candy, cold porcelai..
Make amazingly detailed fondant cakes and other sweet treats using the Wilton Robots and Monsters Fondant and Gum Paste Mould. Form funny robots and silly monsters along with gears, bolts and trim with easy-to-use silicone moulds. Form funny ro..